The Yorkshire Terrier has a beautiful, flowing coat, but it does require a fair amount of maintenance and care. 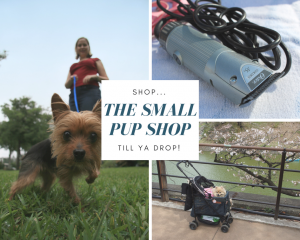 In this post we are going to talk about a few of the best brushes for a Yorkie, and the importance of grooming them regularly! By AKC standards, Yorkies are supposed to have a long, flowing, straight, and silky coat, which many of them do indeed have! However, not every Yorkie qualifies to be a show dog, and for this reason, you will also see Yorkies that have wavy, thinner, and sometimes even wiry coats. Regardless of whether or not your Yorkie’s coat is silky smooth, they will still need regular brushing. 1. Keeping mats and snarls out! – Yorkshire Terriers have only a topcoat, which is continually growing, much like human hair. They do not have an undercoat like many other dogs. Imagine if you let your hair go without brushing for days on end. It’d get pretty gnarly and maybe even matted right? Yorkie hair is the same way. Knotted and matted hair can become very uncomfortable for your dog. Really bad mats can even cause skin issues, plus, they make perfect hiding spots for fleas, and other parasites to thrive in. 2. Distributing natural oils – Brushing your Yorkie regularly helps to further stimulate the pores in their skin to release oils. The brush helps to distribute these natural oils through their hair from root to tip. This will not only help the overall health and strength of their hair, but it will also keep it looking glossy, and glamorous. 3. Bonding time – Sitting down to brush your dog can be a wonderful way to spend quality time together, and build trust and love in your relationship. My Yorkie, Willow, LOVES brushing time. She jumps and wriggles her entire body when she sees the brush come out. She can’t wait to get into my lap and enjoy her pampering. I also love this time spent with my dog. It helps me to unwind, relax, and it’s a wonderful stress reliever for us both! It is so good to start a brushing routine with them at a young age, so that they are accepting of this kind of touch from you and others when they become an adult. 4. Skin exams – This makes for the perfect opportunity to look over your dog’s skin to check for anything that looks abnormal. The dog is relaxed and enjoying his time with you, and you get to give him a little skin exam and make sure everything is looking ok.
5. Control shedding and remove debris – Yorkies do not shed much at all, which is one of the many awesome things about this breed, but do not be fooled by anyone who says they do not shed at all. That is simply not the case. (Read more about that here) However, most of the hair that falls off of them gets stuck in their coat before you ever see it on your furniture or floors. For this reason, it is good to brush your dog regularly to remove loose hairs, and any dirt, debris, or dry skin that may be stuck in their coat. Let’s go over some basic guidelines for what your brush should do for your pup, and the benefits of getting the best brushes for your Yorkie. 1. A good brush should leave your Yorkie’s hair smooth. The quality and type of pins that the brush has, the space in-between the pins, and the brush cushion are all important parts to look at when purchasing a brush for your dog. Pins on a pin brush should not easily bend, or sink into the cushion on the brush. The brush should have firm pins with just a little give. Too firm and it could break their delicate hair strands, too flexible, and it will not be effective in removing snarls, or distributing their natural oils. The cushion of the brush should not completely cave in while brushing. This is a sign of low quality, and it will not be helpful for brushing your pup! You want there to be a decent amount of spacing between the pins on the brush, without the brush looking sparse. 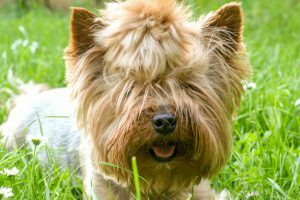 Too many pins can be overkill for a Yorkie, and may pull more than necessary, or create a frizzy finish, but too little pins will not be enough to glide through the many strands, and remove debris, or tangles. 2. The right brush will leave your Yorkie’s coat looking shiny. I personally love using a bristle brush to add that extra bit of shine to my Yorkie’s coat. It really helps to bring those oils down through their hair. The wrong brush will not grab the oils and bring them down, but rather will leave them to build up near the skin. This is not very beneficial for your dog, and can cause skin irritation, and a greasy feel to their coat. 3. With the right brush your Yorkie will ENJOY the brushing process rather than running to hide. Remember, your Yorkie only has one top coat, and right underneath is their delicate skin. Some brushes are too rough for Yorkies, and can cause more harm than good. If your Yorkie is running to hide when he sees the brush come out, it is probably because it is hurting him. The pins or bristles may be too firm or sharp, or your dog may need de-tangler or a leave-in spray to help get through any knots without making him uncomfortable. Let’s take a look at some of the different kinds of brushes that can be used on your Yorkie, and then I will show you which one’s are mine and Willow’s very favorites. Pin brushes are perfect for multipurpose brushing sessions! They are great for removing tangles, and do a pretty good job distributing natural oils too, as long as you get a good one with quality pins. If you only have time to use one brush on your Yorkie for the day, a pin brush is definitely the way to go! Willow’s all time favorite brush that we own, is actually a two-in-one brush that has a pin side, and a bristle side! It is super convenient to switch back and forth between the two, and she absolutely loves it. I’ve included a double-sided brush in the links below! Bristle brushes are Willow’s favorite kind of brush. 🙂 She looooves the soft scratching feel, without it going to deep to pull. These brushes are wonderful when it comes to removing loose hairs, dirt, or debris from the coat. They are not great for removing knots, but dogs sure love the soft and soothing strokes of a bristle brush. Bristle Brushes are also really good for pulling down oils throughout the hair, and creating that shiny, smooth, and luscious looking coat. If you want a little bit higher quality bristle brush, then go for a boar bristle brush. These are really great brushes, especially for a dog kept in a long show coat. It is the perfect finishing touch for smoothing out their hair. Slicker brushes can be a bit more harsh, and great care should be taken when using these on a Yorkie. If your Yorkie has really thin hair, it is probably best to not use a slicker brush on them at all, as there will really be no benefit in this case anyways. These brushes are really great at getting down deep into the coat, and removing dead skin, debris, loose hair, and aiding in the removal of knots and mats. However, like I stated above, they can be harsh on a Yorkie, and are generally used more on dogs with thick or curly coats. I do use a slicker brush on Willow during times that her coat is longer and quite dirty. (usually before a bath) She doesn’t mind it at all, and it helps to remove extra hair that is stuck, and keeps it from getting in my sink! My parent’s Yorkie however, HATES slicker brushes, and his skin is sensitive to them. Pay attention to your dog’s signals to help him be comfortable with the brushing process. *Note – I would not recommend using a slicker brush on a Yorkie for daily or even weekly brushing. Only when the coat is especially dirty, and needing a “deeper cleaning.” Do be careful though to not use a lot of pressure when using these brushes. They can scratch and hurt the skin. Try it on your arm first to find a good pressure to use on your pup. There are a few different types of combs that are great to have for your Yorkie. 1. All purpose Comb – Great for giving the coat a quick comb through before brushing, or after conditioning your pup in the bath to make sure the tangles are out. The steel combs with tight spacing on one end and medium spacing on the other are the best in our opinion! 2. Small Comb – Perfect for combing out a Yorkie’s face, or paws. 3. De-matting comb – For the really tough mats that you’re struggling to get out. 4. Tear Stain prevention comb – Yorkies do tend to get a bit of mucous built up in the corners, and under their eyes… (eye-boogers)… and a comb like this one is AWESOME for removing that gunky, crusty yuck stuff so that your Yorkie will have clean, beautiful hair around their eyes, and no tear stains! Another important step to keeping your Yorkie’s hair shiny, strong, and super healthy, is a really great leave-in spritz, or brushing spray. A leave in spritz should be used during brushing, spritzing just a small amount onto each section, starting at the root, and bringing it halfway down the hair shaft if your pup has a long coat. Then you want to use your brush to slowly go through the section, working the product in through the ends. Helps strengthen the coat – Leave in Conditioner actually helps prevent breaking and split ends. 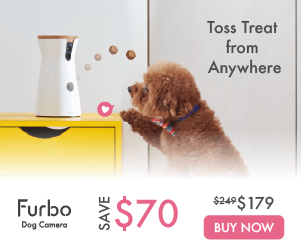 Smells amaaazzing… – Who doesn’t want their dog to smell great!? How often should you brush a Yorkie? This depends on your Yorkie and what kind of coat he or she has. If he has a long fine coat, then you may have to brush daily to keep tangles out. Typically, Yorkie’s kept in a long coat should be brushed every other day at the very least. If he has a short coat you will want to brush at least once per week. Even if the short cut isn’t developing tangles, there are so many other benefits to brushing your pup, that it’s important to still do it weekly. For Yorkies that have the thicker/wiry/wavy type coats, you may need to brush more or less often depending on how easily it mats. If you see that your pup is starting to develop knots, then that is a good sign that she needs a brushing. Again, even if it doesn’t knot easily, you should still brush her once per week. If you wait too long between brushing, your Yorkie will develop snarls and mats, and it will make the brushing process much more time-consuming, and way less enjoyable for the both of you! We hope this article gave you some good ideas for nice, and decent priced brushes for your special pup. There are of course very expensive grooming brushes out there, used for show dogs, that come with a hefty price tag, but the ones I have listed above will do a great job maintaining your Yorkie’s coat at an affordable price point. All of this attention will not only grow your bond with your pet, but it will also help your dog to become used to human hands, and brushing, which will be great practice for their first trip to the groomer! Have any questions about Yorkie brushes? Or do you have a brush that you and your Yorkie LOVE that you’d like to tell us about? Let us know in the comments section below! Interested in learning how to cut your Yorkie’s hair by yourself into a low maintenance cut? Check out this post! We’ve even included a video tutorial! Click here to learn how to bathe your Yorkie, and find out how often you should be doing it. Also includes a video tutorial! Learn how to cut your Yorkie’s nails here! – You guessed it, another video tutorial available to watch in this post! Check out this post to learn all about Yorkshire Terrier Puppy Care! Treat your dog to a HEALTHY snack! Check out our favorite healthy treat options here. How long do Yorkies live? 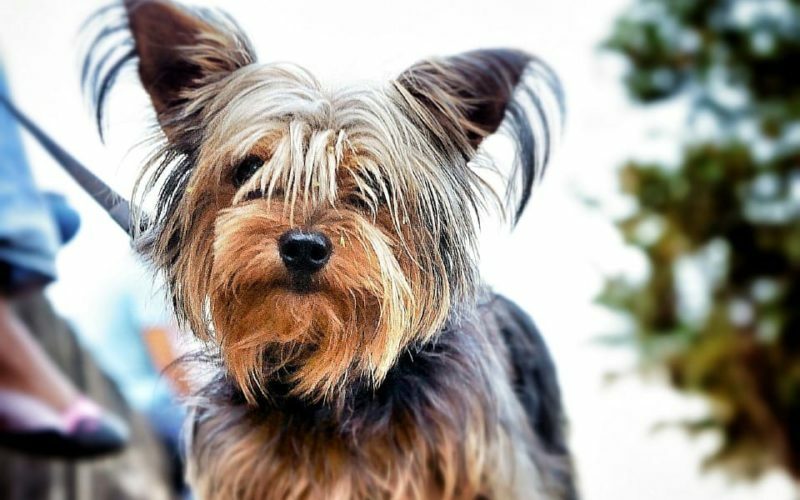 Read this post to learn about their lifespan, and leading causes of death, so that you can help give your Yorkie the best and longest life possible! Yorkies are the best. My cousin had one. I never considered what type of brush to use on them. I’ll have to keep this in mind when I’m getting another dog! They are pretty amazing little pups!! 🙂 Glad you found this post helpful, thanks for stopping by!